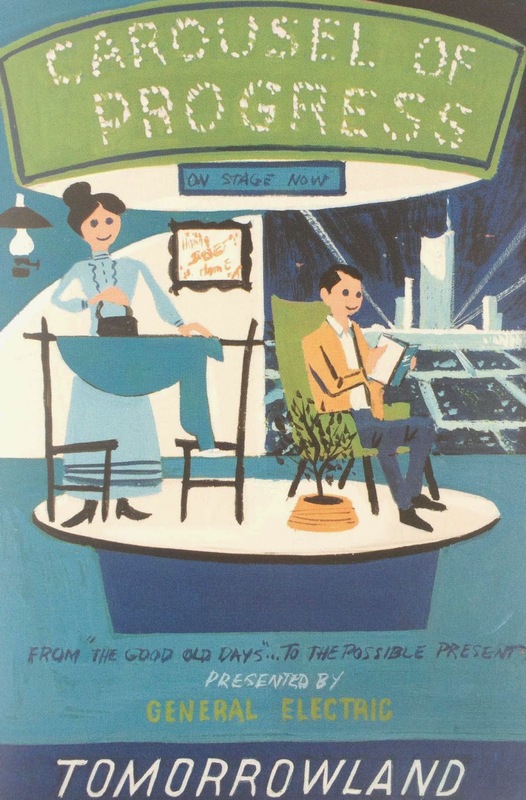 I had so much fun sharing three random Tomorrowland attraction posters, that I thought… "hey! Why don't I do a blog series on them?!?" So here we are, delving into the farthest reaches of Tomorrowland, design aesthetics, and general awesomeness. 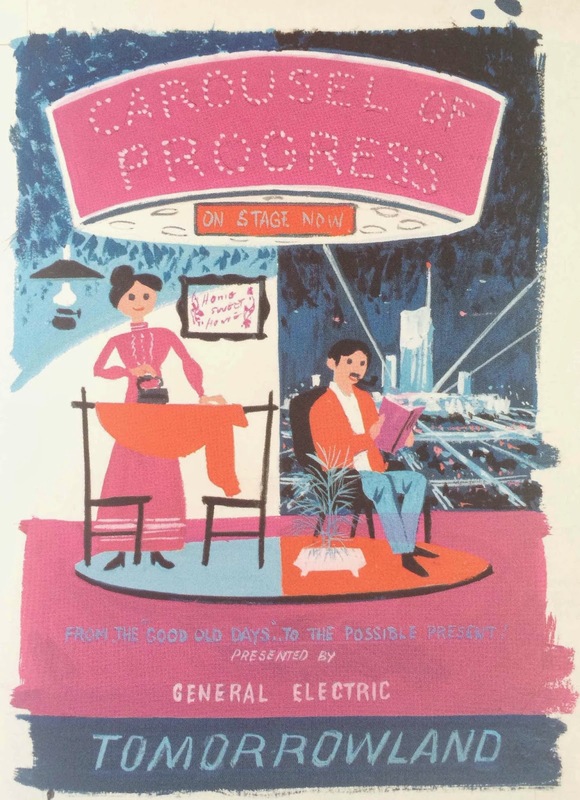 In 1967 Disneyland was prepping Tomorrowland for the inclusion of Carousel of Progress. The attraction had ended its debut run at the 1964 Worlds Fair in New York, and would call Disneyland its home for the next decade. To mark the occasion a fabulous new attraction poster was created to entice guests. 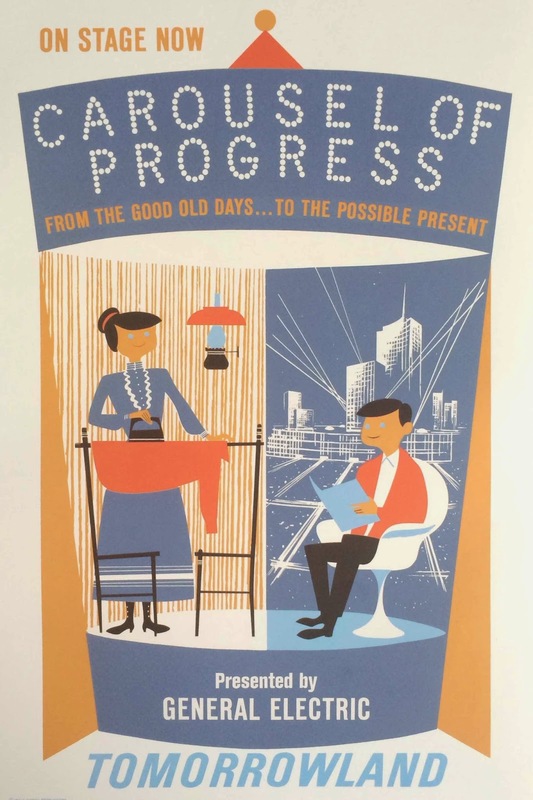 The image was created by Ken Chapman who is responsible for some of the best Tomorrowland attraction posters. Below are to concept pieces made during the development of the poster. It looks more like a color study than anything, given how closely the final poster resembles both concept pieces. I prefer the color concept of the last piece over the other two. Something about the "Pepto pink" is pretty amazing.